Looking for info on cheap paintball in Minnesota? Paintball is a sport in which a group of players compete and use a paintball gun and try to eliminate the other players by shooting them with paintballs. Paintball games are an inexpensive and fun activity for all ages. Here at Splatball we offer many different rental packages that are affordable, we also offer walk-on-plays, and birthday parties. Paintball is an activity that is enjoyable for every age. Our Minneapolis indoors spot is with the heart of downtown Minneapolis. It features a ten thousand square foot city battle world plus the biggest store/technician center in Minnesota. The entire service is weather managed for max comfort. We have even a viewing region and exclusive party space. You can’t fail with inexpensive paintball games. They are fascinating and fun. You can take a group to experience; there is a walk-on-play readily available for teams smaller than 8 players. 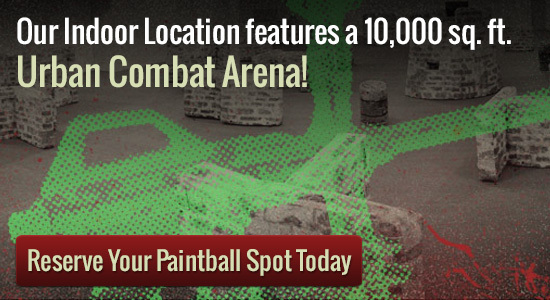 They have a reservation and personal paintball games available for functions plus more. And also the staff are really easy and friendly to get as well as. Cheap paintball games are an easy and affordable way to have fun. To get reservations you can contact us at 612-378-0385. Reservations can be made 7 days a week from dawn until dusk. Again you can make reservations for birthday parties and special events. If you are looking for some fun, cheap paintball at Splatball is a great choice for a group of people.